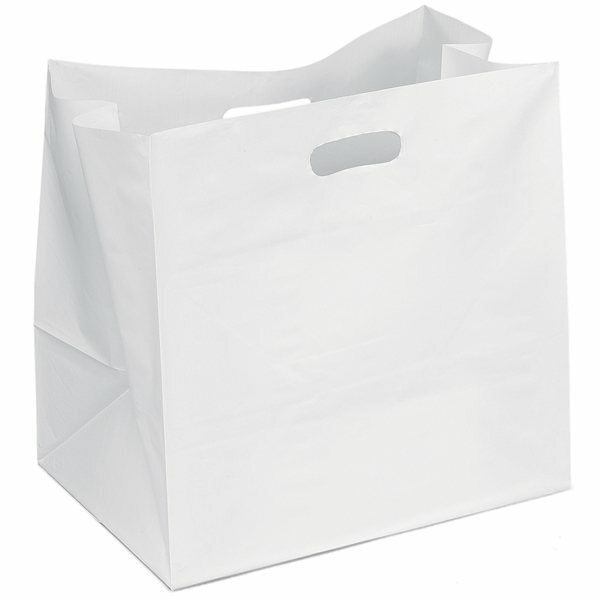 3.0 mil hi-density white plastic die cut handle bag with 10" bottom and cardboard bottom insert. I liked everything about it including the customer service I had. 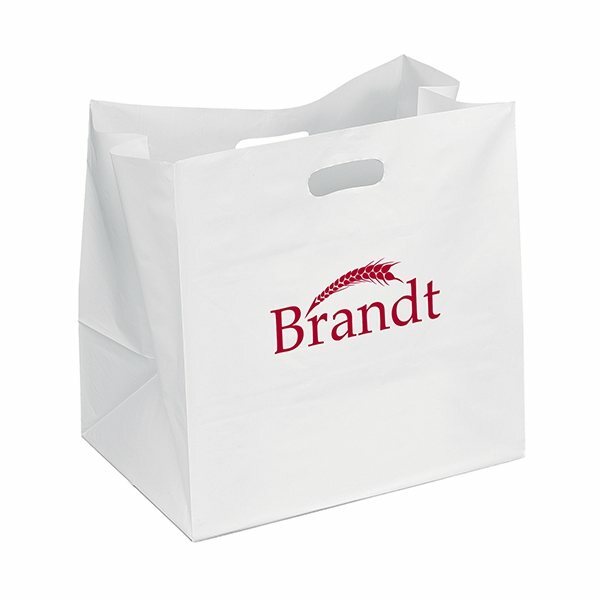 I ordered this product as a giveaway for my clients. They enjoyed and loved the product. Our logo design was extremely beautiful. tools of the trade! We used this at an auto convention to give to the attendees and what a hit! Everything was great! It had been exactly what I was expecting! They are extremely great product. Loved the quality and also the color was perfect.